Traveling for leisure but still need to check emails? Check out our recommendations to balance work & play! Read this & other travel blogs at Eagle Creek. OK, look, we get it. It's not realistic for most of us to quit our jobs, but we can still find moments of travel in the day to day—especially on business trips! Known as bleisure travel or workcations, by tacking on extra days to an already planned business trip you combine the best of both work and play, fitting in epic adventures on even the most stodgy of business trips. "Bleisure" travel—a portmanteau of “business” and “leisure”—is a growing segment of the travel industry. With Internet access nigh on ubiquitous the world over, employees are taking a page from their digital nomad brethren by finding ways to mix a little fun into their work trips. Known by some as workcations, bleisure travelers don’t let a little work stop their chance to visit iconic sights and bucket list adventures nearby. Who are These Bleisure Travelers? The Harvard Business Review found that six out of 10 people have added personal days onto a business trip (not shabby…but we were hoping for a 10/10 here). 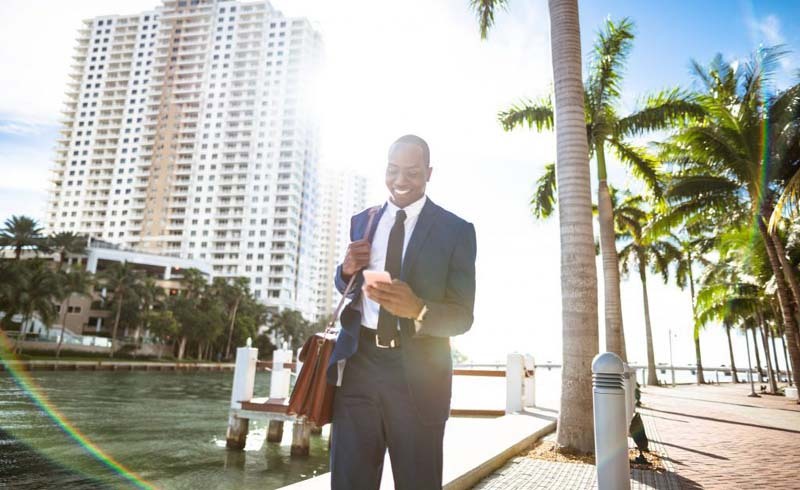 There’s no record of how many people perform job-related functions while on vacation (we sincerely hope they’re logging billable hours for those! ), but in today’s high-demand, on-call world, the number is likely high. Technology blurs the lines between work “on” time and home “off” time, compelling those who work to find innovative solutions for merging their work (a necessity) with travel (a joy). There are more than just fun reasons to undertake bleisure travel: Employees who are well-rested before, say, a big presentation or conference are more likely to perform well. People need downtime to recover from the rigors of traveling and the stress of these types of functions. You need downtime to make a life of travel a reality. Tacking a couple of days onto the beginning or end of a business trip is good for you and therefore good for your employer. Honestly, you’re essentially doing your boss a favor when you maximize your vacation time to find your unknown. Plus, it's easy enough to pack a bag that takes you from work to play. If you’re interested in planning a bleisure trip and workcation, the first thing to do is talk to your boss. You might be surprised to find out that s/he is a lot more accommodating than you’d expect. Bleisure travel is hardly a niche phenomenon, and most employers have at least heard of the concept. If you have vacation or personal time available, most bosses are happy to let you add a couple of days onto the trip to take in local sights, or to visit signature attractions. For those lacking enough vacation time, use the weekend or a public holiday for extra travel time, either arriving early or departing later. Of course, you’ll be paying for any extra hotel stays, food, or other expenses from your travel savings , so make sure it’s topped up!. Another popular form of bleisure travel is bringing a significant other and/or even children with you on your trip. Yup, you could a bleisure trip that includes a girls’ weekend or romantic getaway with your bae. In a time where companies are turning an increasingly attentive eye to the critical work/family balance, there has never been a better opportunity to marry work, travel, and a family trip, especially if your employer is already footing the bill for a hotel. Save up airline miles to swing the ticket for your spouse or kids. They can entertain themselves while you’re on the clock, and you will have the comfort of being surrounded by your loved ones when you’re done for the day. Pack with business and leisure in mind. Packing with a plan means bringing exactly what you need for both parts of your workcation. Fill your laptop bag with work stuff and use a gear organizer for your electronics. Then move onto the fun stuff—perhaps those killer swimming trunks or cute bathing suit you found—and pack it like a pro by using packing cubes Tetris-ed into an international carry on (because who has time for checked bag fees). Bleisure is a hybrid form of travel that allows you to travel the world even when you haven’t yet managed to quit your job. Squeeze every second of travel into your life by thinking outside the box— weekends and downtime were made for big adventures .